↑ Rumsch, BreAnn (2009). 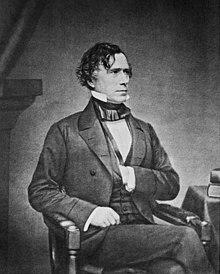 Franklin Pierce:14th President of the United States. Edina, Minnesota: ABDO Publishing. p. 12. ISBN 978-1-60453-469-6.